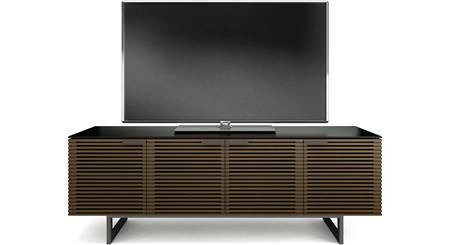 The BDI Corridor 8179 was designed to hold your large flat-panel TV and all its attendant home theater components — and to do it with style. 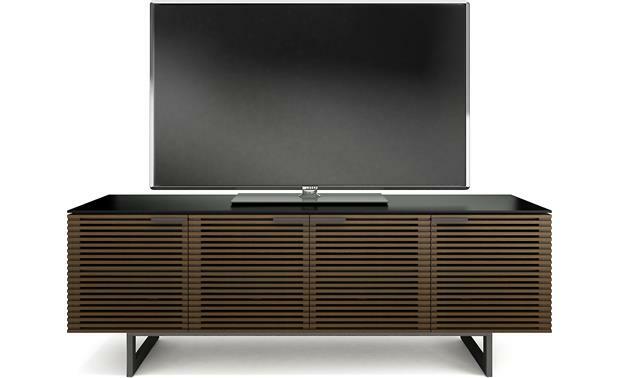 This retro-modern cabinet features louvered doors made of solid walnut, and a durable, micro-etched glass cabinet top. 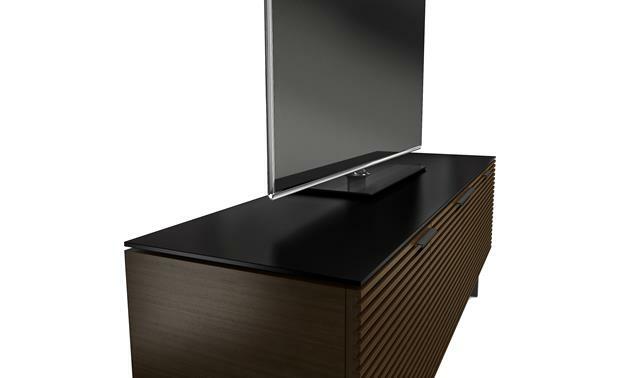 The Corridor 8179 can supports a flat-panel TV with a screen size of up to 85" and weighing up to 175 lbs. 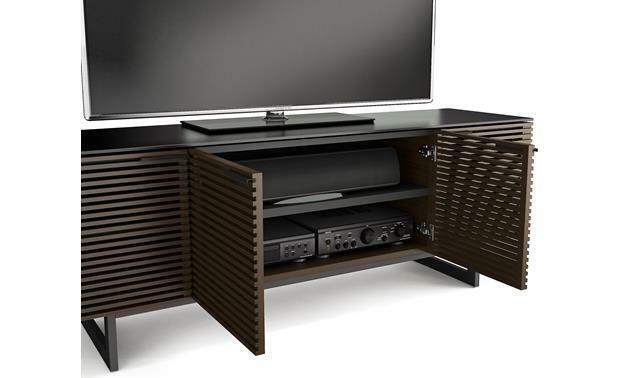 The double-wide center compartment has plenty of room for components and a center channel speaker. 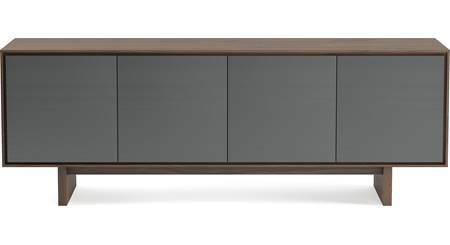 The cabinet features three compartments for your components, each with an adjustable shelf. The left and right side compartments are each wide enough for a standard-sized component. The middle compartment is 38" wide, and each shelf can comfortably fit two components side by side. 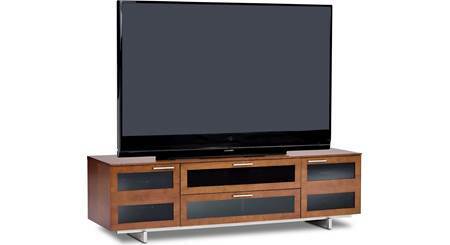 for use with flat-panel TVs up to 85"
Love this cabinet. I have had it for about 3 years now and it is looking like it is still new. Looks to provide some good ventilation and it holds a lot too. I'm thinking about adding an integrated amp but wonder if this cabinet could house a tube amp without getting too hot? Can you put a center channel in the middle and keep the doors closed? Does it impair the sound? My center channel (Klipsch RP-450C) fits in the top middle compartment without issue. I don't notice any difference in sound. Leg height - anyway to have shorter legs on the 8179? It appears the 8173 legs are shorter, but could be just that, appearance. No. 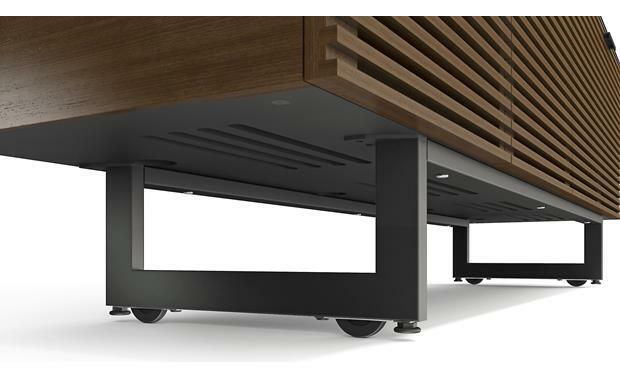 The provided legs are a fixed height and not adjustable. Anyone put a subwoofer into the 8179? Yes, I put a very full sized sub-woofer in it without any major problems. The subwoofer is a little long so I left the back off the stand, which I did for all the other side sections anyway, great air flow that way. 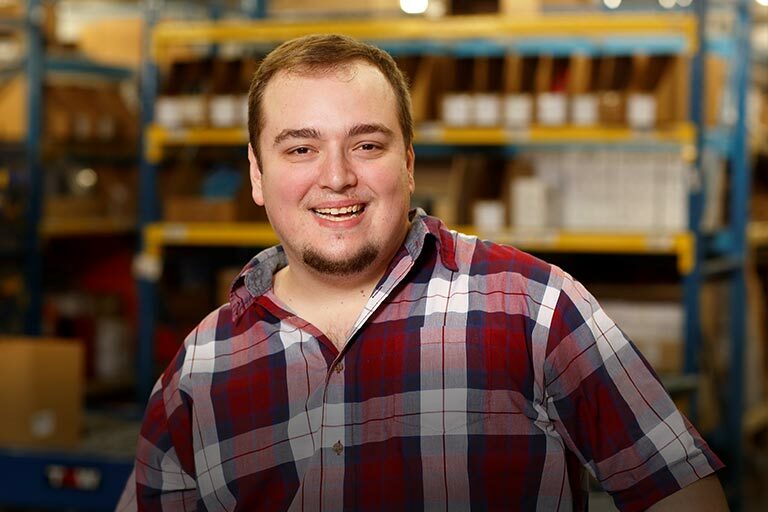 I have two layers of high density foam material under it and haven't had any problems with rattles even at high volumes. Can the center back panel be removed safely? The storage in the center does not have the depth currently to house my AVR or power conditioner at only 16" deep. Ha, I just recently ran into a similar situation. I bought a new Denon receiver and it was too deep for the center portion of the consol. After deliberating on whether to do as you suggested, remove the center back panel, I decided to reconfigure where I put my devices. There were four screws on the center back panel that suggested it could indeed be removed, but I was concerned about the structural integrity of the console if I did so. End result: I moved my AVR to a side portion, which was plenty deep with its "removable" back panel. Probably not the most ideal solution, but everything works as it should and I don't have to worry about the console collapsing. 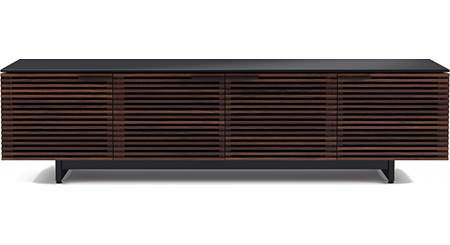 BTW, I have a Panamax power conditioner, which isn't small in its own right, that fits fine in center portion. Cheers! I'm not sure, it may have screws. I know this doesn't really answer your question. I have a Polk center channel on the top shelf of the unit, which fits well. My AVR (Marantz 7012) is on the right side, bottom, with a Air Infinity on top of it. I have the back removed on the left and right. I have a Boston Acoustics on the left side. All fits well. Would the sides work for you for your AVR? BTW, when you move this unit at any distance, be sure to remove the doors. 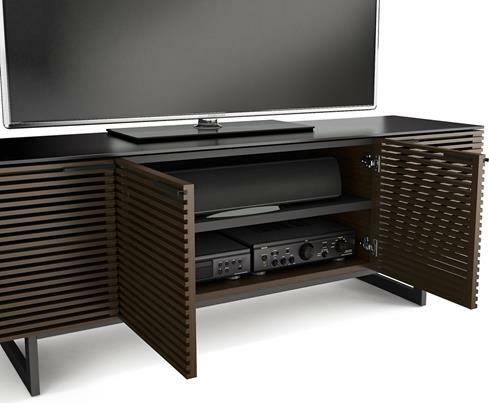 It's a very nice unit, but the wood slots can be a bit fragile. No. The backs to the side compartments are removable but the back to the center compartment is not. My AVR (Denon 4400h) would not fit in the bottom center compartment with all wires connected. I ended up moving it to one of the sides and it fits even with back panel in place. Do your remote controls work when the doors are shut? YEs, they all work great. It holds my huge subwoofer on one side, an xbox, cable box, sonos box, karaoke machine (don't ask), receiver, center channel speaker, various remote and game controllers. Oh, and on top goes the record player and the wive's designer things to make it all pretty. Very happy. Yes, we never had an issue. We have our cable box, dvd, & receiver in the cabinet and the door are always closed. Yes, pretty well. You sometimes have to angle the remote slightly, but in general it works. My center channel speaker is 22x13x9 and fits just fine. Doors shut completely and the sound isn't impaired at all. Yes! I tried the center speaker both inside and outside the cabinet and with the doors open and closed. I could discern no difference in sound quality in either case. I use it exclusively with the doors closed. Is the center shelf adjustable? If not, how many inches are above and below that shelf? Thanks very much. 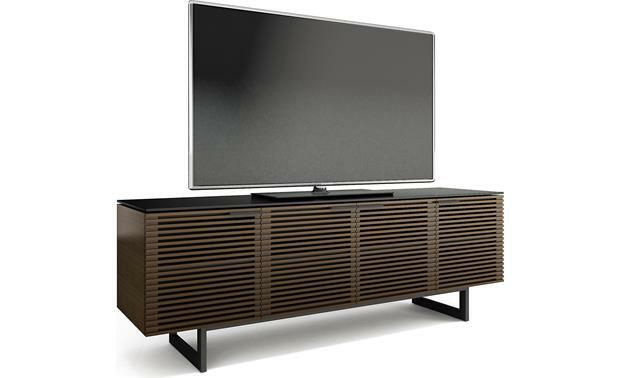 Audio/video cabinet for TVs up to 85"
Quadruple-width media cabinet for TVs up to 85"
Searches related to the BDI Corridor 8179 Audio/video cabinet for TVs up to 85".